Romanian Deadlift benefits are so important, Powerlifter Alan Thrall says to STOP deadlifting until you learn how to Romanian Deadlift! 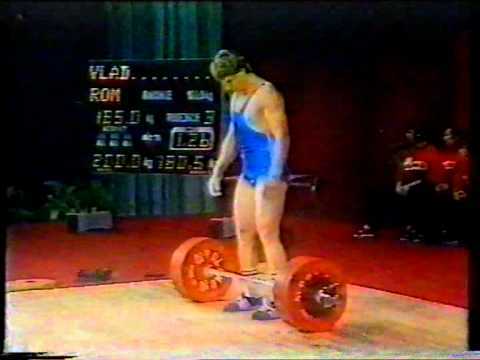 Let's find out why the Romanian deadlift is so critical. Why the Romanian deadlift? What happens if you keep training your quads, but not your hamstrings? Many leg exercises that we do in the gym, primarily work the quadriceps, one of the largest muscle groups in the human body. The quadriceps are critical for walking, jumping, running and squatting and are typically trained with squats and the leg press. The hamstrings are the muscles on the back of your leg, behind your femur thigh bone. The hamstrings play a critical role in knee stabilization, climbing and acceleration when running. Having tight and weak hamstrings can result in hamstring injury. If you sit a lot, you are at risk for tight and weak hamstrings. Or, if you mainly workout the muscles that you can see in a mirror, like the front of your body, chest, biceps and quadriceps, then you have a higher risk injuring your hamstring. Can you touch your toes from a standing position? If not, then you have tight hamstrings. To maintain your youth and health, working all the muscles of the leg is going to make your entire leg look like that of a fitter and younger person. Strong and fit legs need strong and fit quadriceps and hamstrings. By adding the romanian deadlift to your leg workout program, you are helping your body to stay in balance, especially your legs. This type of deadlift benefits the other half of your leg that squats and leg presses cannot. And benefits your entire leg when combined with squats for your leg workout. Therefore, the first of our most important romanian deadlift benefits is balance, of strengthening your entire leg. When properly done, the romanian deadlift will help you to strengthen your hamstrings. Besides being less prone to injury, stronger hamstrings will enable you to walk and run with greater ease. Let's not take walking or running for granted, especially those of us who are over 50. You want to be able to hang out and even better play with your kids, grandkids or friends? Well, stronger and fitter legs are the way to go. Having tight hamstrings is a recipe for disaster. Especially when you play a Sunday pick up game with your friends or family and try to accelerate down the field to catch a frisbee, football or baseball. We all have to keep our body as flexible as possible and greater flexibility in your legs deserves your attention. You do not want to be walking around with a walker because your legs are not strong enough when you enter your golden years. You do not want to incur injury in your younger years because you neglect whole body functional exercises. Of course you should be walking every day, that is a given. Don't think that just lifting weights is good enough. But, when you combine weight training, with walking, sports and flexibility training, you are really doing your body a favor. One of the best Romanian deadlift benefits is to lengthen your hamstrings which help both the function and form of your legs. Romanian deadlifts are going to increase your hip mobility and flexibility. Lack of hip mobility and hamstring weakness can negatively affect your ability to deadlift. Nowadays, so many of us are mobile in every way other than our own joints. Many of us all have mobile phones, cars, and access to transportation so we can get up and even go visit other continents if we choose. But ask a guy over 50 to touch his toes from a standing position, that will not happen. Even men younger than 50 might have a problem with hip joint mobility as well. The Romanian Deadlift can help. Fortunately, the method that Alan Thrall explains in the video above for doing the romanian deadlift, will also help you in your classic barbell deadlift. The Romanian deadlift benefits your regular barbell deadlift too, not bad! The posterior chain is a group of muscles consisting predominantly of tendons and ligaments on the posterior of the body. In other words, the Romanian deadlift benefits the muscles all along the back of your body, from the back of your neck down to the back of your knees. You cannot just train the front of your body, we have to train the back of our body as well, specifically the posterior chain, the hamstrings, glutes and back. The Romanian deadlift is an effective way for you to strengthen your entire posterior chain. In case you are experiencing pain or injury in your knees or quads, the Romanian deadlift is a good alternative for working on your posterior chain. Remember, never, round your back, always keep your back flat and neutral! The Romanian deadlift is also an excellent exercise for your lower back. While the Romanian deadlift is known for it's advantage for lengthening and strengthening your hamstrings, another one of the great benefits of the Romanian deadlift is for the muscles of your mid to lower back. The Romanian deadlift will help you to increase strength and stability for your mid to lower back muscles. A stronger and more stable back is welcome news for anyone who has ever experienced back pain. A stronger lower back and legs can only help when it comes to daily living activities, no matter what your age. 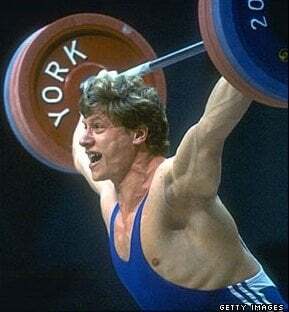 When I first heard of the Romanian deadlift, I thought it was a deadlift, and thought that I have enough on my plate just trying to deadlift with proper form. I think like many people who have never deadlifted before in their life, the free weight room of a gym is a bit intimidating. Olympic barbells, free weights, no clue what to do, fear of falling under the bar, these are all contributing factors to the popularity of machines and the reason that just about anytime you go to the gym, the power rack is usually free. Since I have learned about the many Romanian deadlift benefits, I have included the Romanian deadlift in my Leg workout. I have recently started to do the Romanian deadlift so I can get a full leg workout with all of the Romanian deadlift benefits that I have mentioned above. Please share if you include the Romanian deadlift in your workouts? What Romanian deadlift benefits have you experienced? 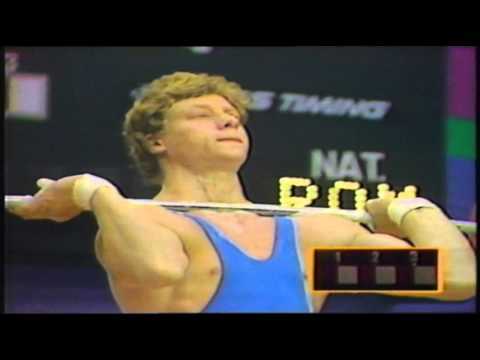 By the way, check out these videos of the Romanian Nicu Vlad for whom the Romanian deadlift is named. Read more about the general benefits of conventional deadlifts here.